I accidentally skipped posting my winter dinner rotation. Oops! But here I am for spring. We had a colder than usual winter so I’m eager to get making some simple dishes so we can get out and enjoy the weather. Tuesdays are pasta days. They are easy and every other week I’m out driving during dinner time for a kid-related activity. “It’s make-your-own,” different sauce every week, roasted veggies, salad and maybe a protein. That is, except one week of slow cooker veggie lasagna. This one-pot creamy garlic pasta looks good. 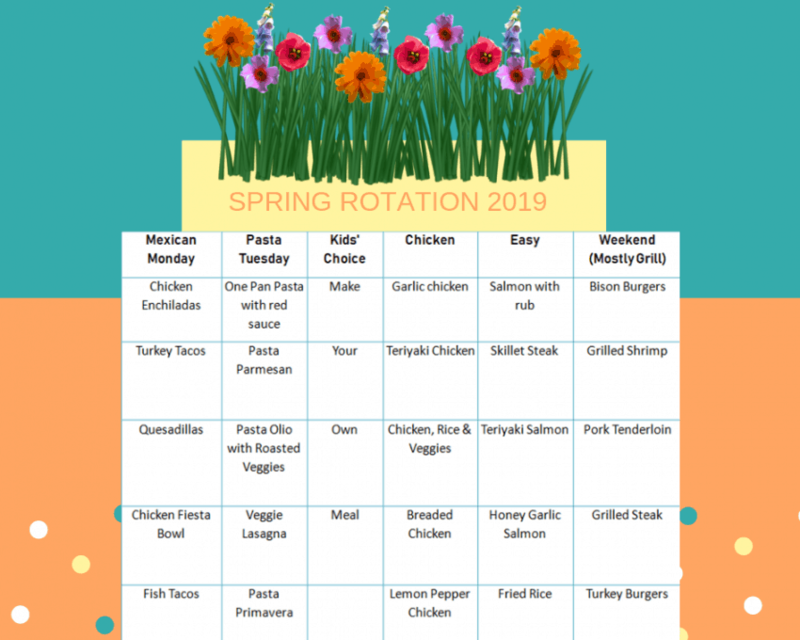 I’m going to make Thursday chicken day and bring back honey garlic chicken which is a nice slow cooker dish. We also run around on Thursdays (lots of driving kids around these days!). I have a (small) new win in the kitchen! 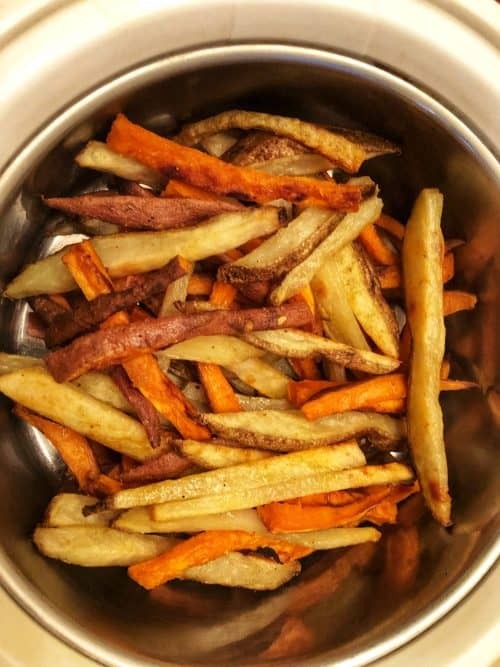 When I first started cooking I tried to make baked fries and they just didn’t turn out. So I relied on Alexa for their fries. Then one month for Raddish we baked up some fries and they were good! So now I make these all the time, usually russet/sweet potato combo. I keep the skin on and scrub the potatoes and cut them into strips. Then I add oil, salt and garlic powder and bake at 400 for about 30 minutes (or until they look crispy enough). I just crossed a major milestone. Well, two actually. First, this blog turned 10 years old in March and I just turned 50. How did this happen? I wasn’t sure how to celebrate 50. My first thought was to get some girlfriends together and make a trip. But then I really wanted my kids and husband around. So I decided to have a big party. I even emailed some friends from out of town and some flew in (including one from the other side of the country). I was a little worried it was too much but everything fell into place. Even my coauthor Jill Castle just happened to be in town. Being surrounded by people who have been there at different points of my life filled me with gratitude. Having Big A perform the song “For Good” with a friend was icing on the cake. The difference between 20 and 50 is my relationship with this voice. When I was 20 it was faint and I ignored it until it got so loud I couldn’t. But at 50, I rely heavily on it and rarely question it. And now with so much experience, I can see that it’s always right, making it easier to unravel the fear that naturally comes with it. So with this in mind — and my 10 year anniversary at hand — I’ve decided to become even more independent and stop advertising and will be starting some new projects. These major changes in development are vital for lifelong health. Without good, solid information mistakes can be made. Understanding how our bodies are changing throughout life, what it needs (both physically and emotionally), and what is in our control to change and what isn’t, is so important. 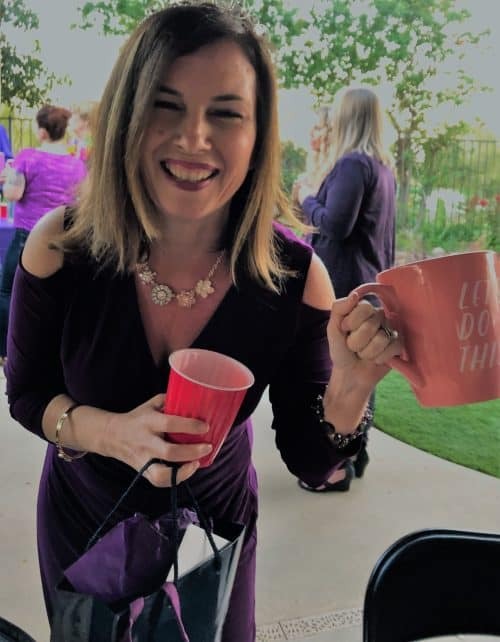 Stay tuned for a new way for me to connect with my readers! A long-term reader of mine explains what she’s learned about feeding in this post about Instant Pot Coconut Orange Crio Bru and Tidbits Talk. The recipe looks good too! Mental health disorders are in the rise in teens as stated in this article. Social media is thought to play a role which is why it’s so important for parents to help kids in this area! I was on the Comfort Food Podcast talking about what “healthy’ really means. It’s a word that has become watered down but I define what it means to me (and the label definition that is likely to change soon). AAP petitioned the FDA to disallow non-dairy alternatives from being labeled as milk. That’s because nutritionally they are different and consumers should be aware of these differences. This is especially important early on when babies transition to milk and the parent opts for almond or rice milk instead. In some cases, this can lead to nutrition deficiencies. Read more about their petition here. Still feeling emotional from my big weekend, I just want to say thank you for taking an interest in what I have to say. It sure does mean a lot! 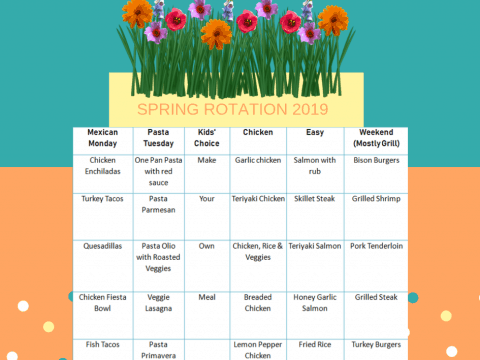 Want to create your own dinner rotation? Get step-by-step help in Maryann’s book The Family Dinner Solution. Happy birthday and thank you for getting rid of the ads!! !